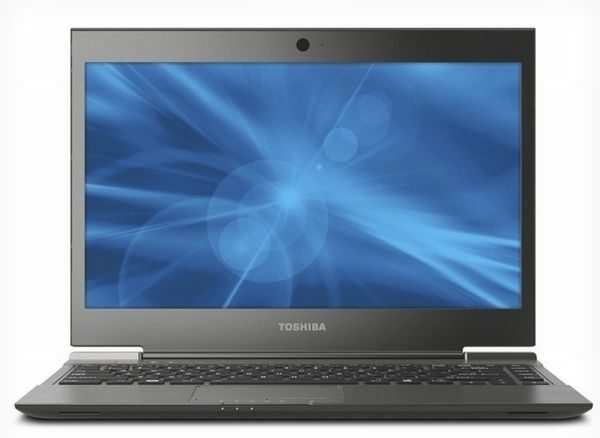 Toshiba Portege Z830/Z835 review: nice overall package, a few flaws nevertheless! Summary: The Toshiba Z830 is the lightest and thinnest ultrabook in its class right now and manages to offer a good mix of features and performances. If it weren't for the overall fragile feel and the loud cooling system, I'd say it's a top pick, especially since the price tag is very good as well. I’m sure I was not the only one to expect the Toshiba Z835 (or Z830, as its called in some markets, see details below) to reach the stores, as there were certain rumors claiming this could be the best ultrabook of the beginning of 2012. 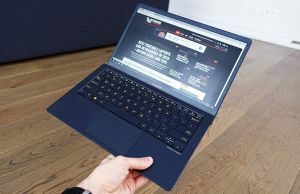 Well, I’ve got to play with the Z830 for the last couple of days and I will share my input in this article, a review of the new Toshiba ultrabook. But first, this unit comes under different names and is part of the Portege or the Satellite families, based on each market. Basically though, the Z830 is the premium version of the laptop, booting a Core i5 processor as default, matte screen and a finger-print reader. The Z835 is the cheaper “multimedia” unit, with a glossy screen and only a Core i3 CPU as your first pick. From what I’ve seen, the two versions are available in Europe, while in the US you’ll mostly be able to find only the Z835. That might change in time though. Now that we got these details sorted out, let’s focus on the unit we’re having here, a Toshiba Portege Z830. As a quick spoiler, this is the lightest 13.3 inch ultrabook in stores and is nicely built, fast and packs a backlit keyboard. On the other hand, it feels quite fragile and is not as appealing or sturdy as the other machines in this class. For in depth details though, see the thorough review below. Toshiba’s ultrabook is the lightest (weighs just 2.45 pounds) and nearly the thinnest (0.63 inches in height) ultrabook in its class. You’ll actually be amazed of how easy it is to carry around, as it’s even lighter than a 10 inch netbook. The reduced weight comes with a downside though: the laptop isn’t as sturdy as most of its competitors, or at least it doesn’t feel so. The screen’s frame especially is very thin and flexible, to the point that you’re going to ask yourself if it’s not going to break in your hand. Now, the guys at Toshiba said they’ve tested the casing and it’s quite strong, thanks to a brand new honeycomb structure used for the chassis, but just by daily using the Z830, I fear this might not be built to last. Hopefully I’m wrong, but you’ll still want to be very careful if you’re going to buy one of these. As for the aesthetics, some might consider Toshiba’s ultrabook just “boring”. I like the matte finish and the magnesium used for the entire case, but it’s true this one does not stand out from the crowd in any way, while most other competitors usually do. Opening the lid, you’ll get the same magnesium finish on the palm rest but the screen’s hinge is actually fragile, thus the entire display seems wobbly, especially when moving around with the laptop. In terms of ports and connectivity though, I bet you can’t say anything wrong about the Toshiba. You get three USB ports (with one USB 3.0), full-size HDMI, VGA and Ethernet slots, plus a card-reader and separated mic/headphone jacks. Most of the ports are placed on the back, so you won’t get cluttered cables around the laptop, but behind it, where you won’t necessarily see them. Of course, you also get Wireless and Bluetooth, plus Intel’s MiFi and WiDi technologies. 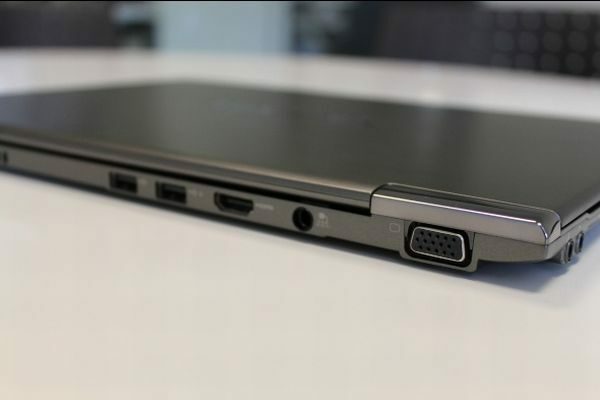 The number of ports featured on Toshiba’s ultrabook is truly impressive. The chiclet keyboard is not impressive, but it gets the job done. The keys are a bit shallow and don’t offer much travel, but all in all, once you get the hang of it, you’ll be alright, especially if you don’t necessarily need this for intense typing. 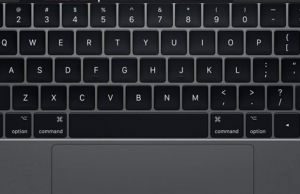 The layout is a bit weird, with rectangle keys (they’re not square, they are a bit vertically narrower) and that extra row of keys on the right, but I guess you can get used to them in time. The Z830 is also the only ultrabook right now, aside from the MacBook Air and Samsung Series 9, to feature a backlit keyboard, which I’m sure many would consider useful. You can’t really adjust the brightness level (you can only switch it ON and OFF), but the overall illumination system works just right. As for the touchpad, while it’s not very spacious, is actually pretty accurate and responsive (it’s made by Synaptics), despite its plastic finish. You get individual click buttons (hurray! ), which do feel a bit stiff though (boo! ), and a fingerprint reader in the middle (only on the Z830, not on the Z835). The status LEDs are placed just beneath the touchpad, just where they should, out of the way most of the time, but there for when you’ll be needing them. The Z830 we’ve tested comes with a 13.3 inch 1366 x 768 px display. Everything is pretty standard here, except for the matte finish that you’ll be missing on many other ultrabooks. So, you can use this one outside, but as a downside, colors do seem a bit washed out when pumping the brightness to 100%. Vertical viewing angles aren’t that great either, but I can’t say they are worse than what you get on most other laptops in this class. 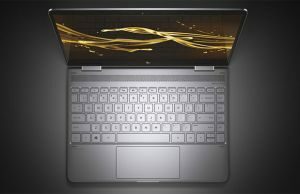 Of course, a better panel and a higher resolution would have been appreciated, but it looks like we’re going to wait for the next generation of ultrabooks to finally get the right screen on such machines. 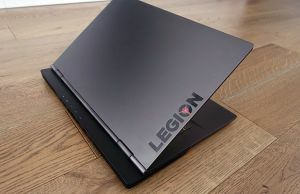 Be aware that the Z835, the multimedia version of this laptop, will boost a glossy screen that’s gonna be slightly better in terms of viewing angles, but will also add those pesky glare when using it in strong light. The display is not exactly the best you can find on today’s market. There are a couple of different hardware configurations available for Toshiba’s ultrabooks these days. Our Z830 test unit boosts a Core i5-2557 processor, 1 GB of RAM and 128 SSD storage, plus integrated Intel HD 3000 graphics. And while the SSD was slightly slower than the one on other ultrabooks, the mini laptop feels snappy during everyday use and you’ll hardly notice any difference between this one and an Asus UX31 or a Lenovo U300S (unless you really spend a lot of time copying files back and forth, which I doubt you’ll do). Top Z830 configurations will boost a Core i7 Intel processor, more RAM but no increased storage space (at least for the moment), while on the other hand, the cheaper Z835 will only bring a slower Core i3 CPU as a default option. All in all, Toshiba’s ultrabook will do just fine in your daily activities, with browsing, chatting, writing, listening to music or watching HD videos. If you plan to edit photos, videos or run any other resources-hungry applications, you might want to go for one of the higher end configs, otherwise the base one will do just fine. Even though Toshiba has made a couple of sacrifices and compromises here and there, when it comes to the battery life, things couldn’t have been much better. The Z830 we’ve tested, powered by an Intel Core i5 processor, can go right now for nearly six hours on a single charge, based on daily average use. That’s more than what the U300s or the Asus UX31 bring to the table (as expected, since the battery is bigger) and of course you can stretch that far longer for light use. The Z835 on the other hand will squeeze about 30 minutes extra from the 46 Wh battery inside the Toshiba, for about six and a half hours of juice during everyday use, thanks to that slower and less energy hungry Core i3 processor inside. The Z830 runs cool, very cool actually no matter how hard you’ll push it. On the other hand, the version I got to test was extremely loud. A continuous buzzing was always present even when performing light tasks, and got very annoying when running several apps or watching some clips, especially when using the laptop in a silent environment. Toshiba finally addressed this issue in February with a BIOS update (v 1.60) which pretty much kills the fan for light and medium use, but makes the bottom slightly warmer this way. So it’s still there and noisy when running a Full HD clip, editing some RAW photos or playing a game (if ever) but it’s way better during the daily tasks you’ll usually perform on such a computer. The Toshiba Z830 features a couple of stereo MaxxAudio LE speakers, which are decently loud and, while they can’t compare with the ones featured by the Asus UX31 in terms of overall sound quality, are alright for an ultrabook. Other features you might be interested in include a 1.3-megapixel webcam and a microphone built into the LCD’s bezel. The Z830 is all in all a very serious contender for the title of today’s best ultrabook. 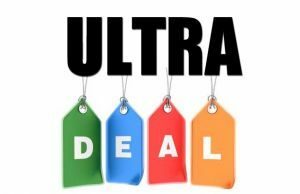 With all the different configurations available for this Toshiba ultrabook, it’s difficult to tell you exactly how much are they gonna cost. Bottom point though, prices in the US range from $850 to $1400 dollars, with the Z835s being the cheaper entries, and the Z830s usually going for around $1000 or more. You can find them online on Bestbuy.com (they only have the cheap versions though) or over at Amazon.com, but in the US you’ll actually have a hard time finding the Z830s. They’re more easy to get in Europe though, as it looks like Toshiba is mainly getting the premium Z830 ultrabooks over here in the Old Continent, while pushing the cheaper Z835 across the pond. With a fairly affordable price tag and a bunch of solid features, the Toshiba Z835 is one of the best ultrabooks available in stores these days. As opposed to the Lenovo U300S and the Asus Zenbook UX31, my two favorite ultrabooks today, the Z830 is significantly cheaper ($200 or even more). And while it trails them in terms of build quality and sturdiness, the overall package is quite good: you get a decent matte screen, decent backlit keyboard, a “normal”, easy to use trackpad, good everyday performances and huge battery life, in the lightest and one of the thinnest bodies out there. There are still issues, like the mushy keys, the noisy fan and the fragility of some parts of the case (mainly the screen), but you’ve got to make concessions with any of the available ultrabooks these days. And with the Toshiba Portege Z830, the goods definitely outmatch the bads. In the end, I had a hard time deciding whether this laptop should get a 3.5 or a 4 out of 5 rating. Went for the first though, as the overall fragility and the noisy fan are very annoying and Toshiba definitely should have taken better care of these aspects on a one grand laptop like the Z830. It is actually nicely priced on BestBuy U$$699. I’m worried about the fragile screen but i guess i’m gonna get it and just try to be extra careful!